My experience in joining an SEO competition back in 2006 pave the way for the creation of my first blog network. It opened new opportunities and got clients in this field - as blogs play an important role in the whole search engine ranking equation. As the search engine algorithm improves, ranking is now influenced by the user's surfing behavior, satisfaction experience, and the response received by each content generated. Having a relevant and sustained campaign is a must. However, its accompanying cost needs clear returns as well. In doing digital marketing campaigns, companies do many things with the hope of getting leads and customers. Bloggers, social media specialists, and SEO professionals get engaged every now and then in this exercise. But everyone is almost doing the same thing. If you are new, the market has become competitive and tough to get a high value contract as some really drop their prices. For bloggers, other sources of income comes in the form of joining ads and affiliate programs. However, its laid back nature where you can work at your preferred time often yields to frustration later on when earnings are very slow to come or low in value. For companies, implementing affiliate networks is usually a slow process as most bloggers would want to be compensated for the preliminary work. Working with SEO professionals, their impact are usually short term unless they are engaged on a long term. In some cases, companies even get penalized depending on the practices done by the SEO professional who worked on their sites. As an educator in this field, I believe SEO, blogging, content marketing, social media promotion can be done differently. It can be outsourced not just to one - but to many. Those who perform the best, gets a fee commensurate to their results. This is where the idea of an SEO Lead Generation Network came into play. Glad we got a first client who agreed to do a project with us to put this network to the test. 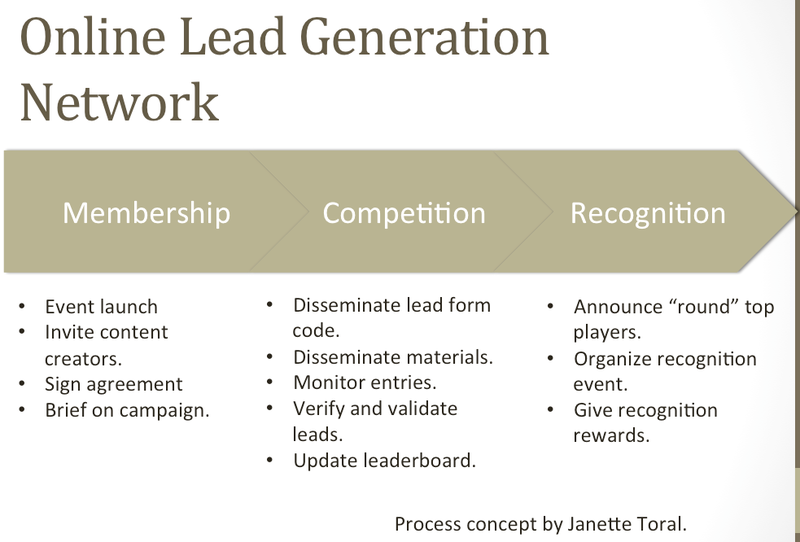 Launch client's SEO Lead Generation Network through an education event getting all invited participants to a seminar and receive updates in this field. Invite prospective lead generators to join the network. Brief members on campaign and its progress. Disseminate lead form code after content approval. Code and system used must be able to capture IP address and source url where the form gets filled up. Verify identity and validate interest of each lead. Announce cut-off top players. Ideally there should be at least 3 rounds to drive the competitive momentum. Gather top performers in a recognition event. Each campaign must be competition style to challenge participants to bring their best game on the table. Websites to showcase your work. 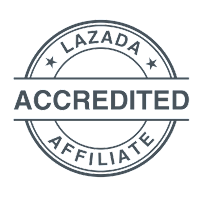 For this 1st client project, I will be accepting members from now till October 7, 2014 (as the 3rd and last round starts on October 8, 2014).